You can do so much more with a yardstick than just measure things! 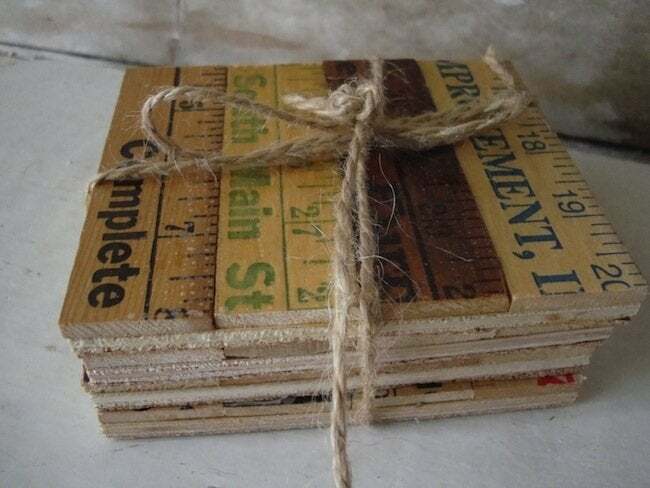 If you have a few old yardsticks lying around gathering dust, put them to creative use with one of these simple projects. You may think of it only as a handy helper at the workbench or sewing table—a no-frills, low-tech instrument for measuring distances—but with imagination and a handsaw (and maybe a little wood stain or strong glue), you can easily elevate the lowly yardstick to trendy heights in home decor. 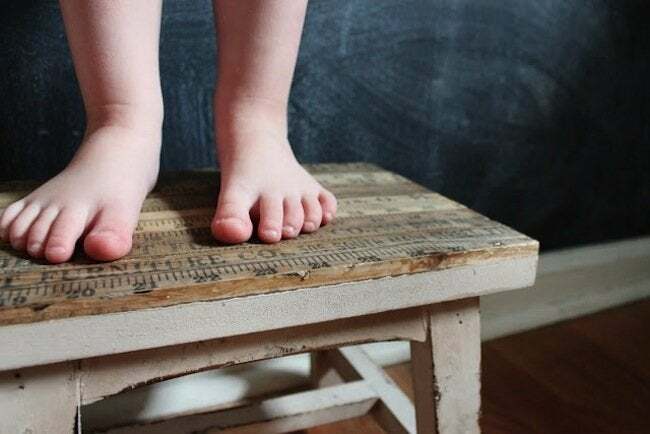 Dress up the seat of a stool (or the top of a table or tray) with yardsticks, adding character to an otherwise purely functional household item. After cutting the yardsticks to the appropriate length, sand down their backs to give each an equal thickness, then glue or nail the pieces to the stool, one after another. 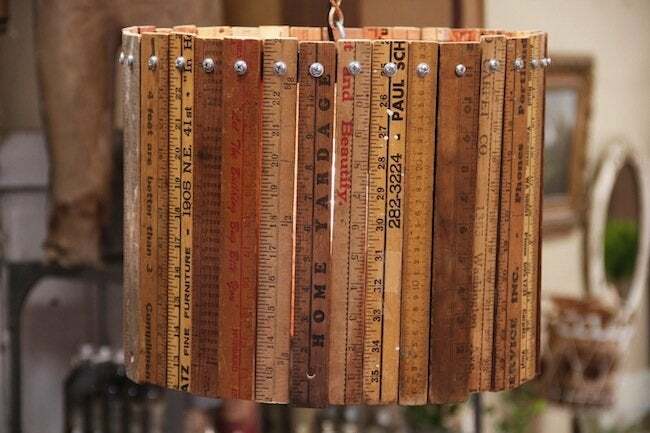 If you’ve managed to collect a few dozen antique yardsticks from sidewalk sales and flea markets, try mounting them over the wire frame of a lamp shade. The effect is warm and folksy, making this the perfect accent for a saloon-style man cave, your basement woodworking shop, or a converted garage. 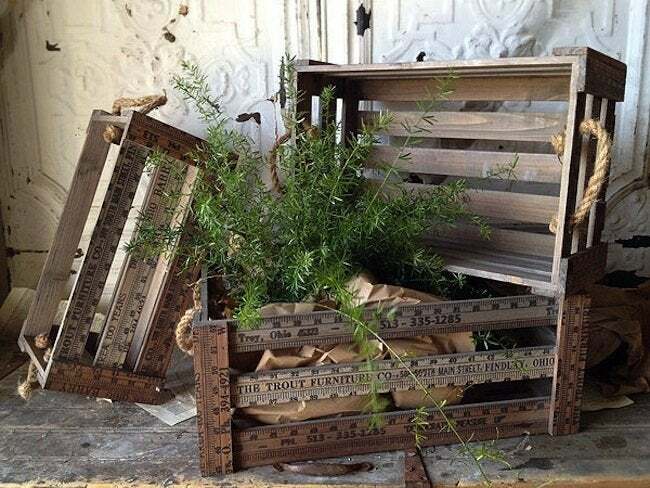 Knock together a basic crate with your stockpile of dusty old yardsticks. On the sides of the completed crates, drill holes for rope handles, which will make these simple yet charming boxes easier to move around. Put them to work in the garden to help transport plants, or keep a few in the trunk of your car and use them to carry groceries into the house. 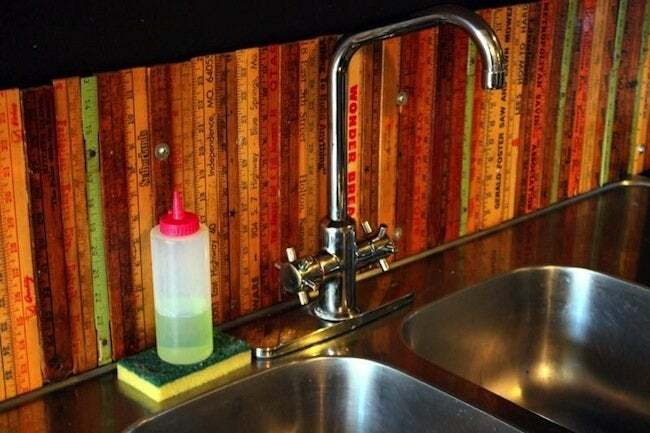 You can custom-design a standout backsplash for your hardworking kitchen. Here, old and new yardsticks are cut to equal length and sanded to equal thickness, then installed above the countertops. If you often find yourself entertaining guests while you’re cooking, think of this yardstick project as the ultimate conversation starter. To make your own coasters, chop one or more yardsticks into four-inch segments, then glue the pieces over a tile or plywood backing. Consider attaching felt to the underside of the coasters for the practical benefits and a bit of design flair. Place your creations on the deck, porch, or patio, and grab a drink—you’ve earned it!